I am currently a research fellow working on translating insights from collective animal behaviour into applications in swarm robotics. 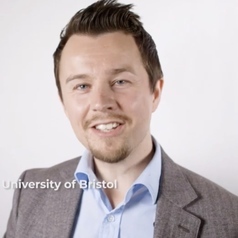 I am based at the University of Bristol and the Bristol Robotics Laboratory. Prior to my current position I spent a year at the University of California, Los Angeles (UCLA) Ecology & Evolutionary Biology Department, working on social networks of social spiders. My PhD research was focused on the exploration and decision-making behaviour of house-hunting ants, from a complex systems perspective. I was interested in how the behavioural interactions of individual worker ants allows collective problem-solving abilities to emerge. My undergraduate degree is in physics, from imperial College London. In between science degrees, I studied economics at Oxford and worked in financial regulation, which is where I first began to think about collective animal behaviour.